Also, a friend pointed out that this seems like the kind of book a future politician writes. Expect to see this kid on a ballot someday soon. 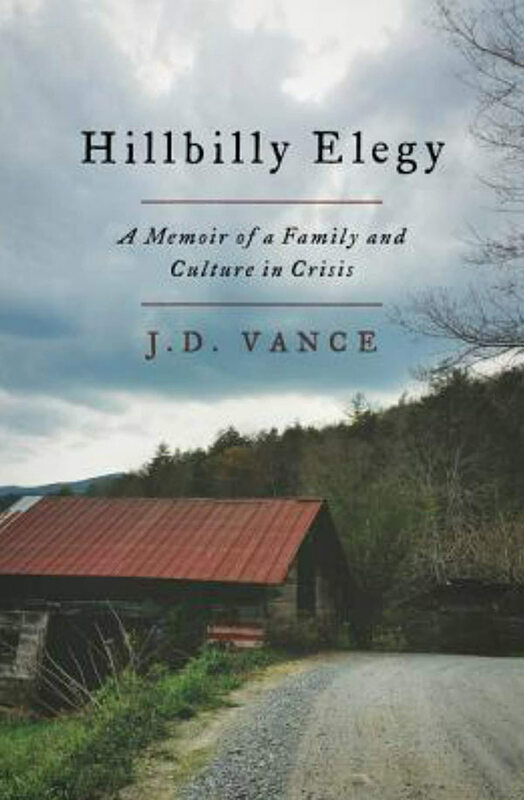 This is apparently the liberal soul-searching book du jour - one man's story of coming up thru a 'hillbilly' background among poor whites, and the culture and challenges he faced, wittingly or un-. I guess I grew up close enough (not in, but nearby) to this kind of life that I don't see much that surprises me so far. My grandparents came from relatively poor backgrounds, and my parents were very sensitive to the idea of 'white-trash-ness.' Not that we ever were, but it was a standard that my family often referred to - a kind of lower threshold of all propriety. Even now, I use the term casually, but Erika is always calling me out for it.